Accessibility can become a bit of a buzzword, but if you work online, you know that it's a very important part of the process to ensure that your information, products and services can be used by all of your target audiences. Early exposure to accessibility in the real world and online can help us develop sensitive, well-rounded kids. And maybe even help them develop empathy that they can bring with them through their schooling and into the workplace as they get older. To kids, accessibility and ability aren't standard topics of conversation. Schools are so integrated, that classrooms consist of kids of all learning types and physical abilities. At younger ages, for the most part, they don't seem to care about differences between one another, but as they hit big kid or even tween status, questions might develop about kids who aren't like them. So, how do you talk to your kids about accessibility and differences between them and classmates? Local author Stefania Moffatt has written a fantastic kids' book that can open up those discussions. 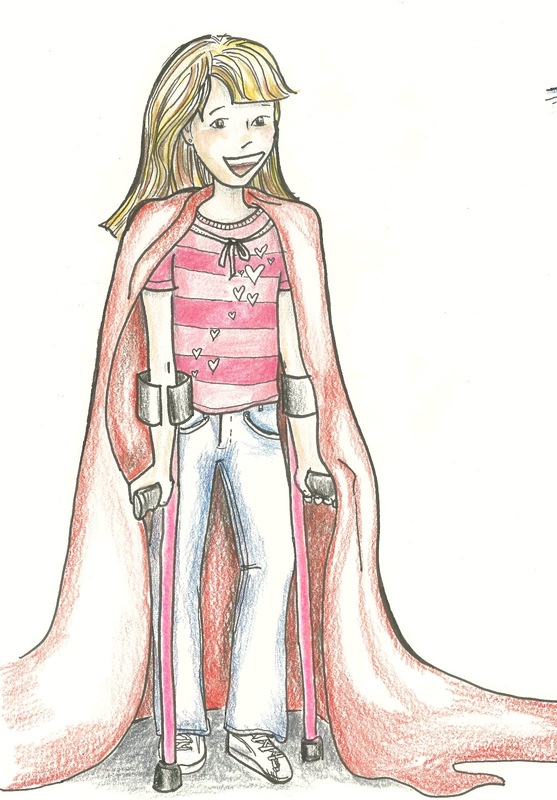 "Everyday Superhero" is the story of a girl named Kat who has cerebral palsy. The story follows a day in her life, and all the things she loves to do. It presents her abilities in a fun, approachable, positive light with a simple message: Kat can pretty much do anything she sets her mind to, just like kids without a disability. As Stefania states on her site: "My desire to write Everyday Superhero was to show kids and parents that CP is not a limiting condition. I want kids and adults, with or without a disability, to better understand CP and know that a fulfilling life can be had with such a disability." It's meant to serve as a conversation tool: a book you can read with your child, as a catalyst for discussion. Stefania has been presenting the book and topic to community groups and is hoping that it gets into recreational programs, libraries and schools. We're lucky: the Dude and Stef's kids all attend a school with an autism program. Our school focuses on integrating the students together in facilitated interactions; this year, kids from the two programs are working together to make their own cookie dough for a fundraiser to help fund the autism program. Sensitizing them to differences and abilities is just part of the curriculum.